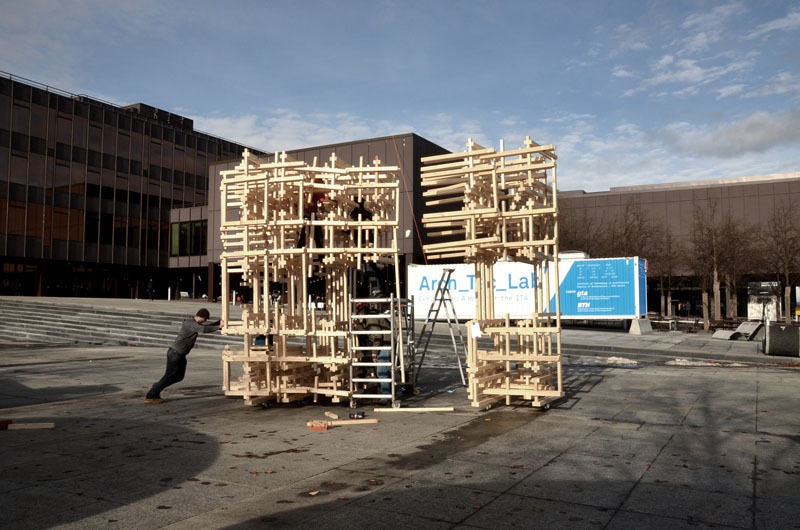 For the elective thesis course "Shifted Frames", a design from the previous semester course was further explored and fabricated at full scale. 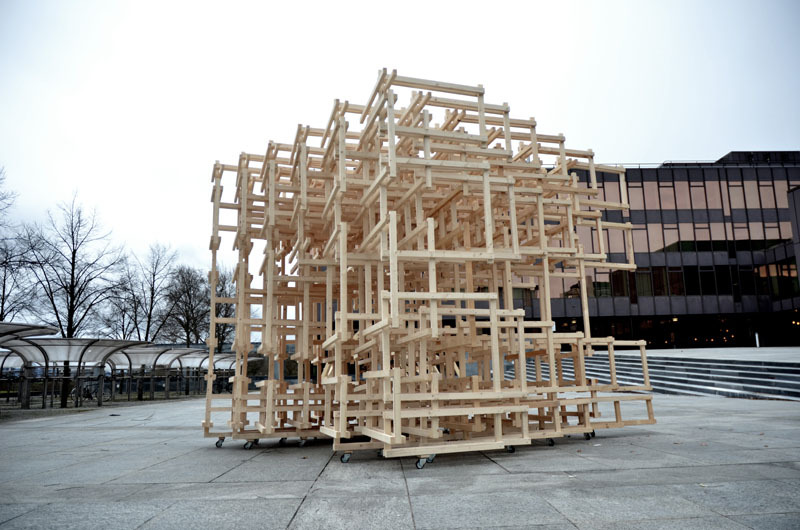 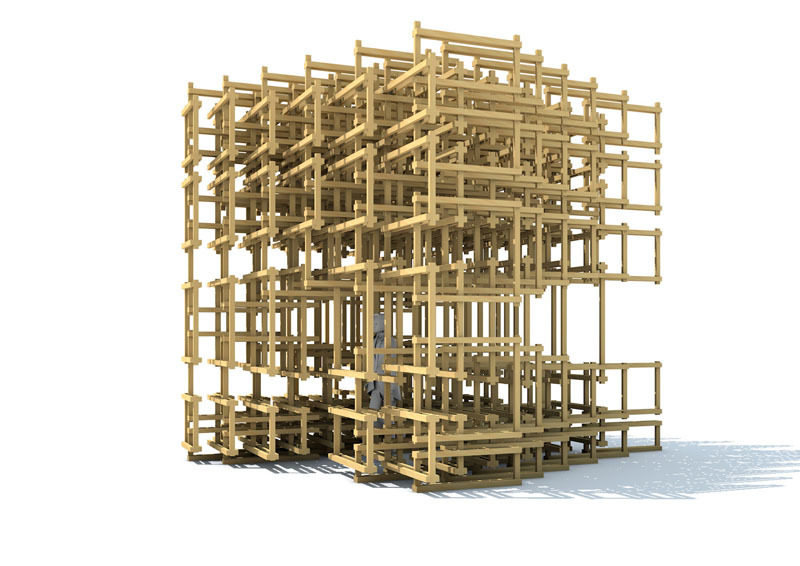 The pavilion consists of 252 interwoven wooden frames of different dimensions that were locked in place by screws. 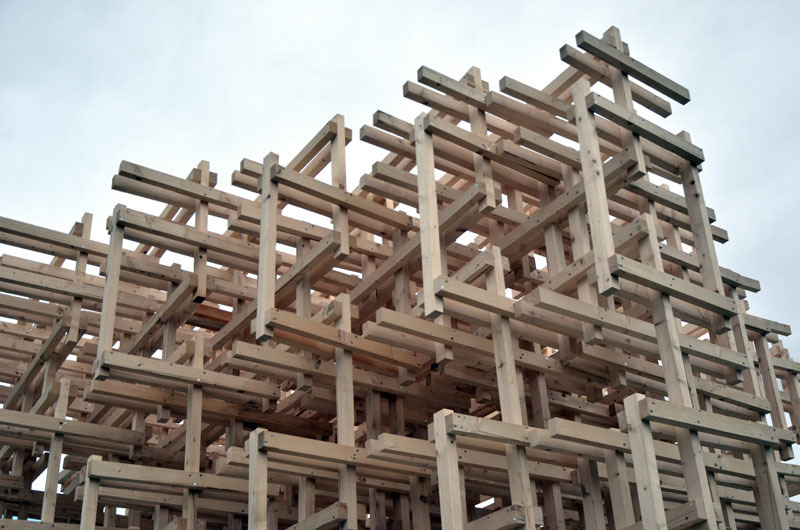 Designed as an orthogonal aggregation of over 1,500 wood beams that fill out the complete volume of the pavilion, varying densities modulate the view through as well as from inside the structure. 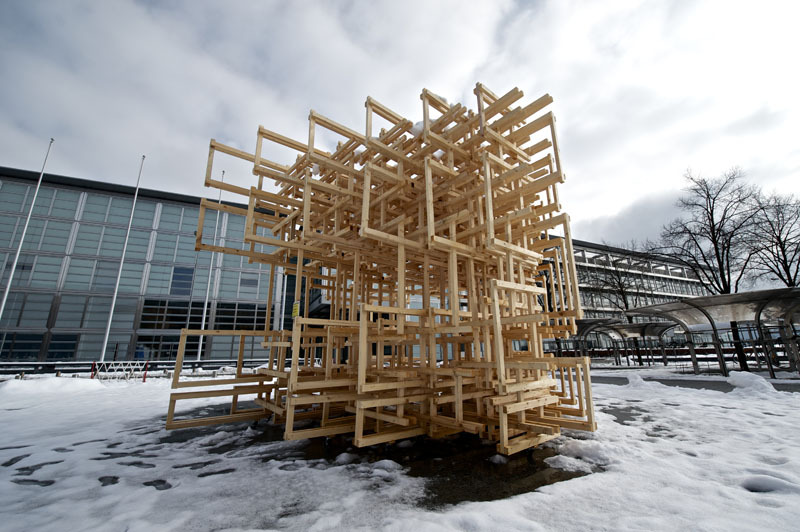 It was fabricated in 18 parts at the Professorship’s robotic facility before it was put together on site. 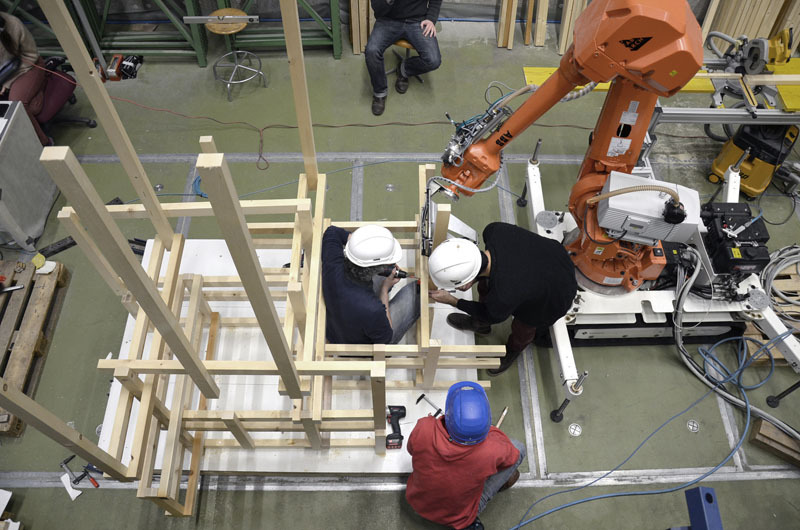 The robot arm performed the cutting and spatial positioning of each of each element inside every pavilion unit, while the beams were articulated within a man-machine procedure. 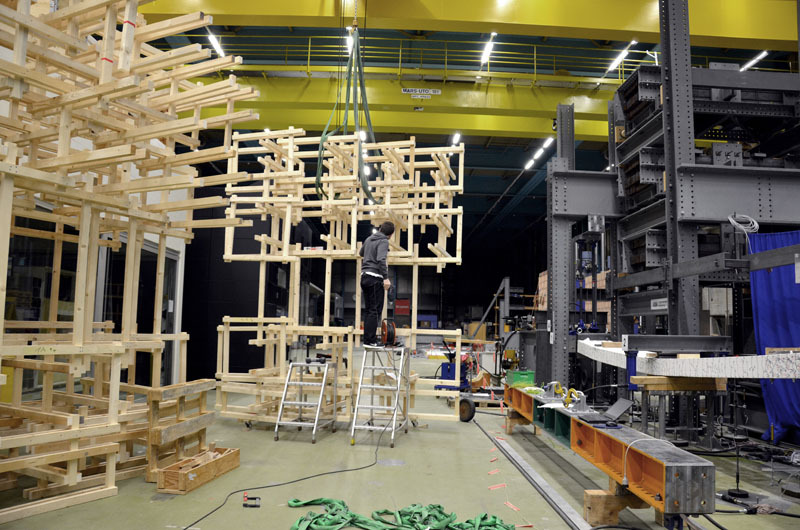 In this way "Shifted Frames" explores not only highly informed and robotically aggregated spatial structures but also fosters innovative human-machine collaboration at full architectural scale.